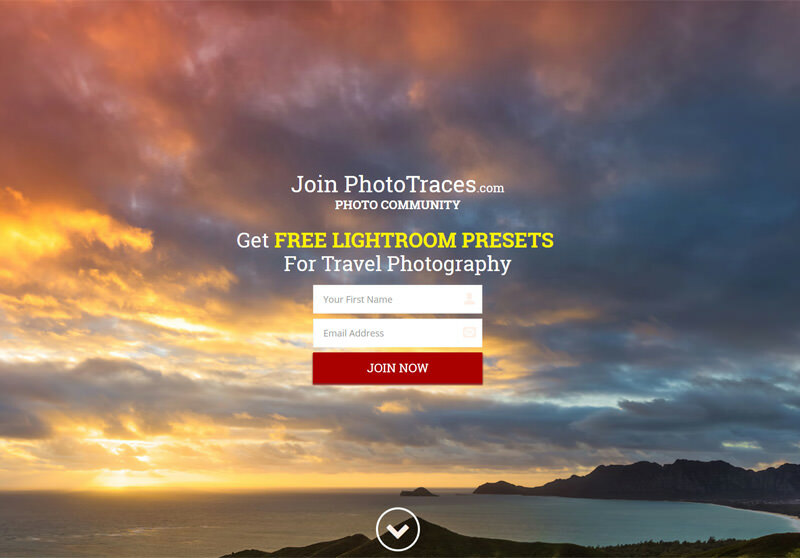 I started PhotoTraces.com about three years ago and strategically chose the WordPress platform so I would have total control over my blog and increase my chances of earning a high ranking on Google. The beauty of WordPress—besides its open source roots and cost effectiveness (it is free)—is that you can extend its functionality in a variety of ways based on your needs. Think of WordPress as a smartphone that can perform different tasks depending on the apps you install. Instead of apps, however, WordPress calls them plugins. Plugins are created by thousands of individual developers and companies around the globe, which means you have an endless amount of choices when creating and shaping your blog. Of course, the flexibility and ease of customizing your WordPress blog also comes with a few negatives. After running your WordPress blog for a few years and it picks up traction, you continue to create and promote new content until you suddenly realize that your WordPress installation looks and acts like Frankenstein. You have a gazillion plugins installed with overlapping functionalities. Some even conflict with others and cause your site to slow down which, as a result, affects user experience and your Google ranking. If you are making money with your blog, you also realize that the price of premium plugin subscriptions has skyrocketed. When your site generates revenue, there is an absolute need for premium plugins that offer security, backups, online sales, memberships, and so on. This is the situation I found myself in last year. This is also when, after expressing my frustration, my friend introduced me to Thrive Themes. After testing Thrive Themes for a few months, I fell in love with it! I connected PhotoTraces.com to the Thrive platform and, now that I’m here, there is no way I will ever go back to the stone age of WordPress management. I believe that the success of Thrive Themes is deeply rooted in its understanding of the needs of online business. The founder of Thrive Themes, Shane Melaugh is a serial online entrepreneur who used blogging as his primary marketing tool for years. I highly recommend following his blog, ActiveGrowt﻿﻿h, which is dedicated to online business. By identifying every single step of online business, Thrive Themes creates and maps various tools that address the specific needs of each step. Let me show you how Thrive Themes can help you at various stages of your online business. When you are just starting out and are ready to create your new blog, Thrive Themes offers every single tool to make your launch both fast and efficient. Thrive Themes has 10 beautifully designed WordPress themes ready to be deployed in a single click. Designed with speed in mind, the themes allow your website to load quickly, which pleases both Google and your visitors. Every blog needs a social sharing functionality whether it’s in a floating icon bar or a set of icons around the post. There are many options available but, in the three years of running PhotoTraces, I never found one that was fast enough and not too taxing for the server. Thrive Themes has a social sharing functionality built into every theme that is lightning fast! Since Google started penalizing websites for not having optimized images, which is very relevant to me as a photographer, it became paramount to strike a balance between compression and quality. Thrive Themes has image optimization built in and compresses every image on upload. It is also a good practice to have related blog posts displayed at the end of each article to keep your visitors engaged with your content. Guess what? Thrive Themes also has a related post functionality built in! Another advantage of the platform is that you do not have to strictly use Thrive Themes to benefit from the other tools and plugins. You can use them with your current WordPress theme. 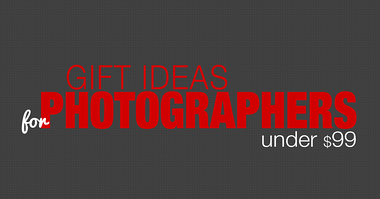 For example, I have used StudioPress themes from the moment I launched PhotoTraces.com. 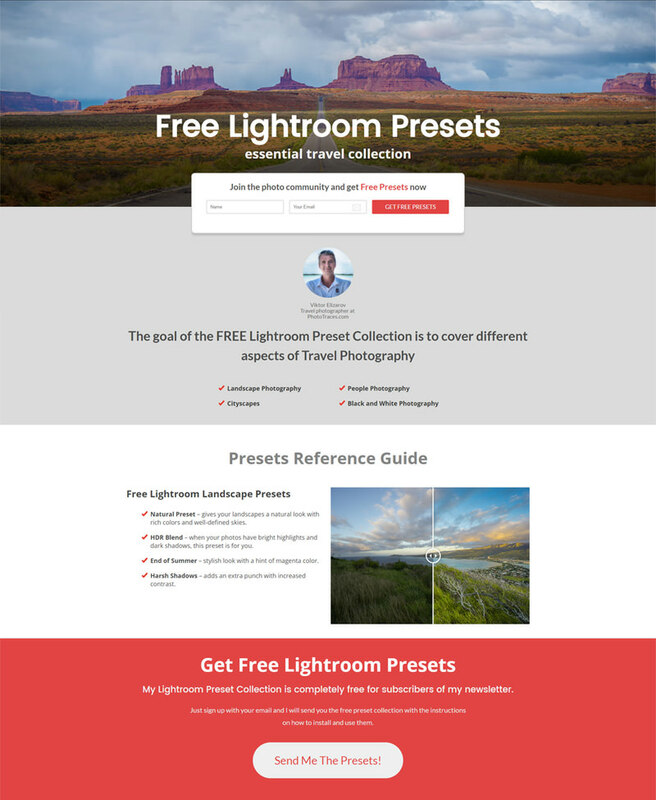 Over the years, I implemented several customizations specific to StudioPress. Based on my estimation, it would take me over a week to move my site to a non-StudioPress platform, which is something I do not have time for at the moment. For now, I use the Thrive Themes plugins and tools with my current theme. I am planning to switch to one of the Thrive Themes in stages. I will use the staging functionality of my hosting provider—SiteGround—to create a copy of my website first. This will allow me to work on it without affecting the live site. When I am done with the changes, I can deploy the modifications to the live website. 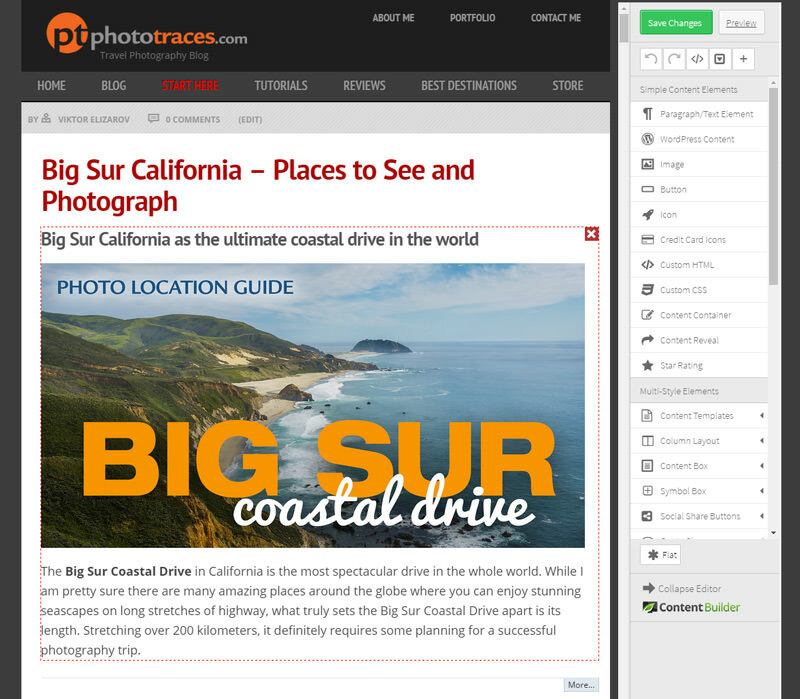 This is how I plan to move PhotoTraces.com to a Thrive platform without any downtime or interruptions. Although I love the WordPress platform and recommend it to everyone, as a person with a background in design, it drives me crazy that I cannot work in a visual environment. When you create an article in the WordPress editor, you have absolutely no idea how it will look on the live website. You have to save it first and then hit the preview button before going back to the editor, making changes, saving it and previewing it again. After you repeat this exercise a few hundred times, the frustration level can be overwhelming. With the T﻿﻿hrive The﻿﻿mes Content Builder, you work in a visual environment—it shows exactly what you get without the need to hit preview every few seconds. The process of creating complex layouts is intuitive and logical. My favorite feature of the Content Builder is the ability to save any object as a template for future use across the platform. Plus, the Content Builder comes with a variety of prebuilt templates and objects. After launching your blog and getting into the rhythm of publishing new content regularly, it is the perfect time to start building your audience by collecting email addresses. You guessed it! 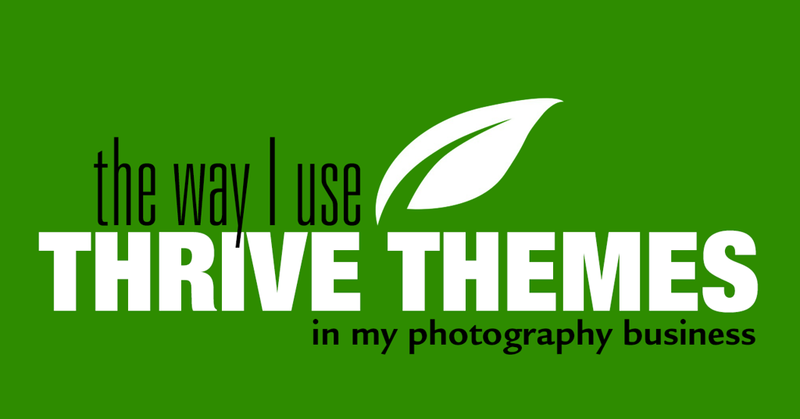 Thrive Themes has a dedicated plugin for that! Thrive Leads is probably the most sophisticated lead generation plugin I’ve ever encountered. It comes with a variety of well-designed templates that offer complete control over where you want to display them. Thrive Leads also comes with the two most effective, based on my experience, lead generation methods: the Welcome Mat and the Exit Intend Popup form. It also has unique functionalities. For example, you can hide your signup forms from visitors to your site who are already on your mailing list. The next step in the logical progression of your blog and business is when you are ready to create and offer your own products. This is when it is time to create landing and sales pages to better present your products by highlighting their benefits. As you probably already guessed, Thrive Themes has a dedicated product called Thrive Landing Pages. Here is an example of a landing page that I created from scratch in one hour. I do not know of any other tools that have such power and versatility. When you start developing multiple products, you must deal with product launches, promotions and complex sales funnels. This is when Thrive Ultimatum comes into play. 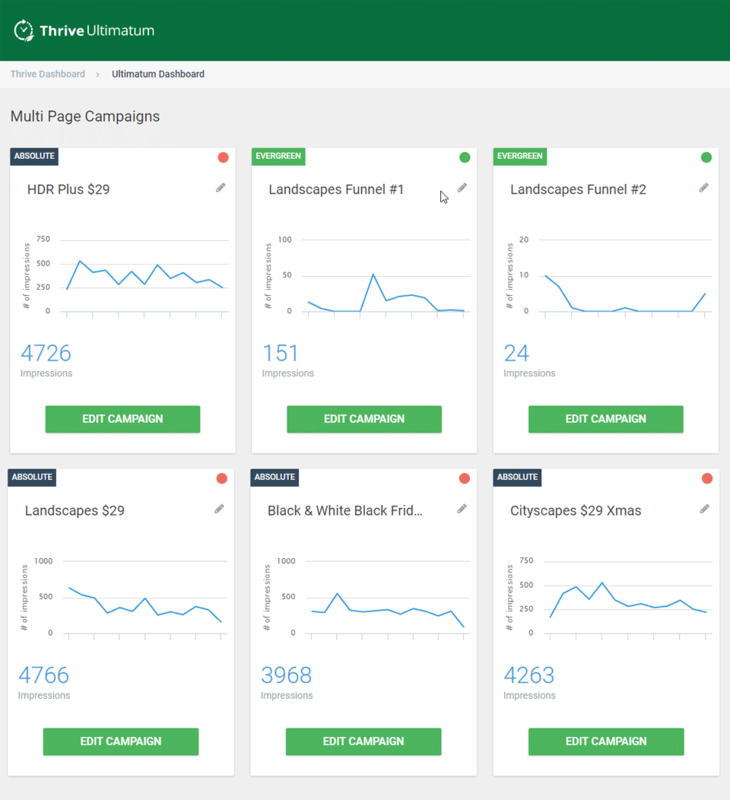 The most important feature of the plugin is the creation of Evergreen Sales Funnels. When you run a product promotion that starts, for example, on Monday and ends on Sunday, this is called a fixed date campaign. Another type of promotion that is more beneficial but also more difficult to execute is when every email subscriber has a different timeline depending on the day he or she signed up for the mailing list. This is when you need the Evergreen Sales Funnel functionality. For example, you can specify that every new subscriber on your mailing list will receive a three-day promotion on the fifth day after they subscribe. 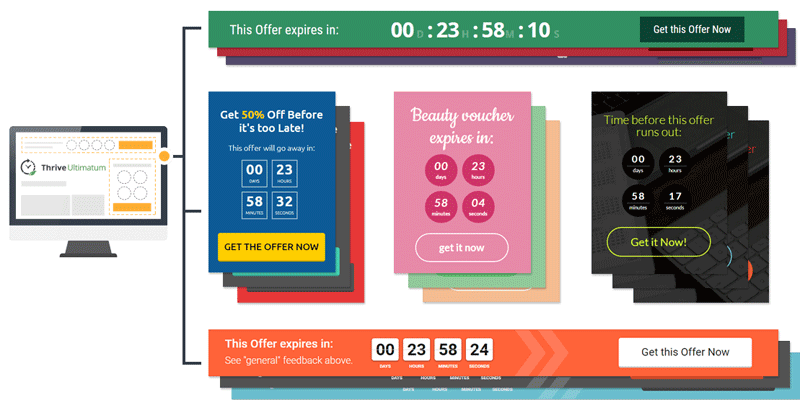 Thrive Ultimatum will display promotional countdown banners across your website. In the past six months, I’ve run multiple promotions for various products both with and without Thrive Ultimatum. 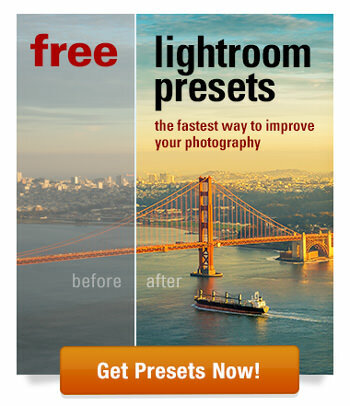 The use of the plugin boosts my sales by a factor of three. Yes, it is that effective. 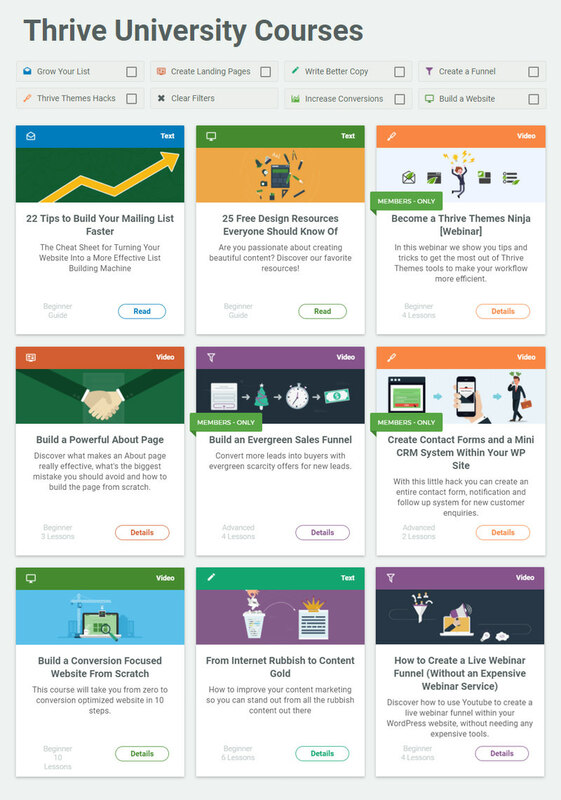 A/B testing functionality is present in almost every Thrive plugin and tool. It has unprecedented potential for testing pretty much anything. For example, you can create two different titles for your article and run it against each other for a week. At the end of the week, Thrive determines the winner by the number of clicks each version received and automatically sets the winning version as the permanent title. The same logic applies to different sign-up forms and promotional banners where you can test the design, colors, number of form fields, etc. When you are just launching your blog, A/B testing is not something you necessarily focus on. However, as your business grows, it can be an invaluable tool for potential growth. When you start promoting your products, you come to the realization that one of the most efficient marketing features is social proof. 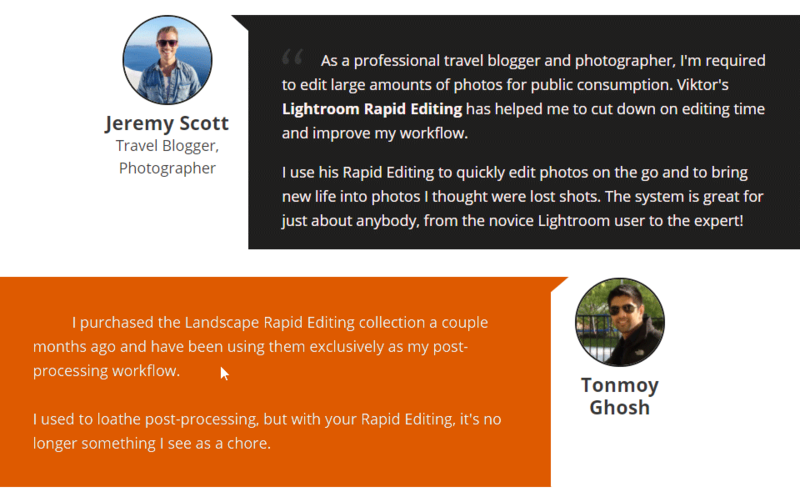 The Thrive Ovation plugin leverages the power of social proof. It simplifies the process of collecting testimonials and automatically displays them on your home page, product pages, sale pages and any other place you want. Not long ago, Thrive Themes introduced Thrive University, which is an educational platform for online entrepreneurs. The university courses and lessons are not designed to teach you how to use Thrive products because they already have a knowledge base for that. Instead, they are designed to help you run your business more efficiently and address specific components of online business. By switching to Thrive, I was able to ditch the following paid services: OptimizePress ($10/month), OptinMonster ($39/month), LeadPages ($48/month), and Deadline Funnel ($37/month) in addition to five other premium plugins with one time charges. The combination of Thrive Leads and Thrive Ultimatum exponentially boosted my sales. Creating complex WordPress layouts is no longer tedious and frustrating. It feels like using a professional design tool like Photoshop. By ditching over a dozen various plugins and replacing them with one single platform makes my blog run much faster. I find that the pricing structure of Thrive Themes can be a bit complicated. The reason for that is because you can buy individual plugins as standalone products or subscribe to a membership model. With the membership model, you have access to all the existing themes, plugins and tools for a recurring fee. For me, it was a no brainer. 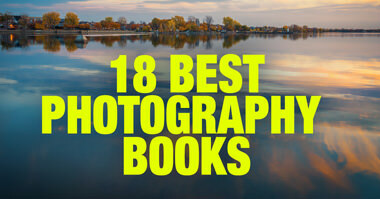 I subscribed to the annual model for $19 per month. See the previous section to learn more on how much money I saved by switching to Thrive. and they keep adding new stuff regularly. I am starting to use Optimize plugin which allows you to do A/B testing for landing pages. Priceless.